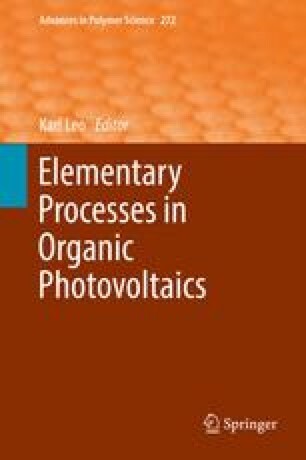 This work was partially supported by Deutsche Forschungsgemeinschaft (DFG) under the Priority Program “Elementary Processes of Organic Photovoltaics” (SPP 1355), BMBF grant MESOMERIE (FKZ 13N10723) and MEDOS (FKZ 03EK3503B), and DFG program IRTG 1404. The project has received funding from the NMP-20-2014—“Widening Materials Models” program under grant agreement number 646259 (MOSTOPHOS). F. Laquai thanks the Max Planck Society for funding the Max Planck Research Group.